When Mitsubishi owners in Boonville and Columbia need auto repair, they count on the team of auto mechanics at Midwest Autoworx. Midwest Autoworx has two locations, one in Boonville and the other in Columbia. At both shops, we provide thorough and efficient service and repair for your Mitsubishi. Our auto mechanics are master level technicians, which means that have a multitude of experience and education the automotive industry. They wield tools and technology that match their level of expertise. Because of our auto mechanics’ skill and our auto repair shop’s equipment, Midwest Autoworx is often on relied upon for solving the toughest of problems. It doesn’t matter if you own a Mitsubishi sedan or light-duty diesel truck. We don’t discriminate when it comes to the make or model of your vehicle. “The best experience I have had at any mechanic I've ever been to. I brought in my vehicle after an issue with the coolant system. The part they needed was nowhere in town, so they had to keep it overnight and even gave me a ride to work, and picked me up from home when it was ready. I took it back when something seemed off after they worked on it, and took care of me again at no extra charge. Very friendly and courteous staff. Would recommend to anyone.” -- Michael H.
At Midwest Autoworx, we don’t just want you in and out and on your way. We intend to be your go-to auto repair shop for as long as your vehicle is on the road in Boonville and Columbia, and with us on your side, we think that will be for quite a long time. 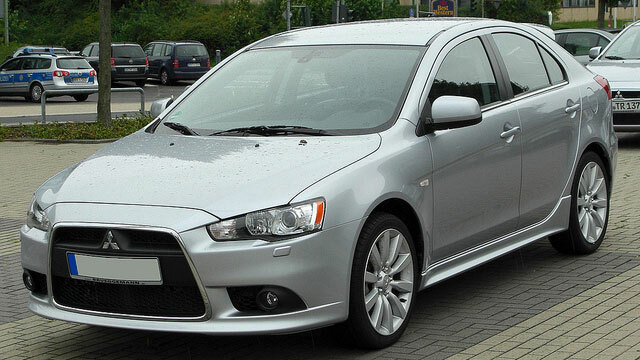 Our auto mechanics can service and repair all makes and models of vehicles, and your Mitsubishi is no different. We are located at 2001 Rangeline Street in Columbia, MO 65202 and 1300 W. Ashley Road in Boonville, MO 65233. Call Midwest Autoworx to learn more about service for your Mitsubishi or schedule an appointment online.